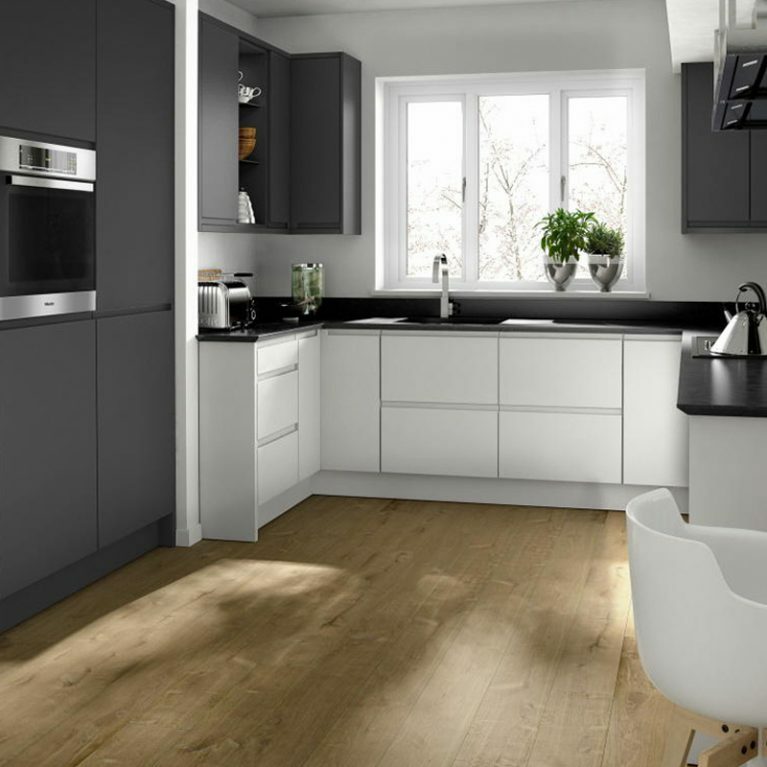 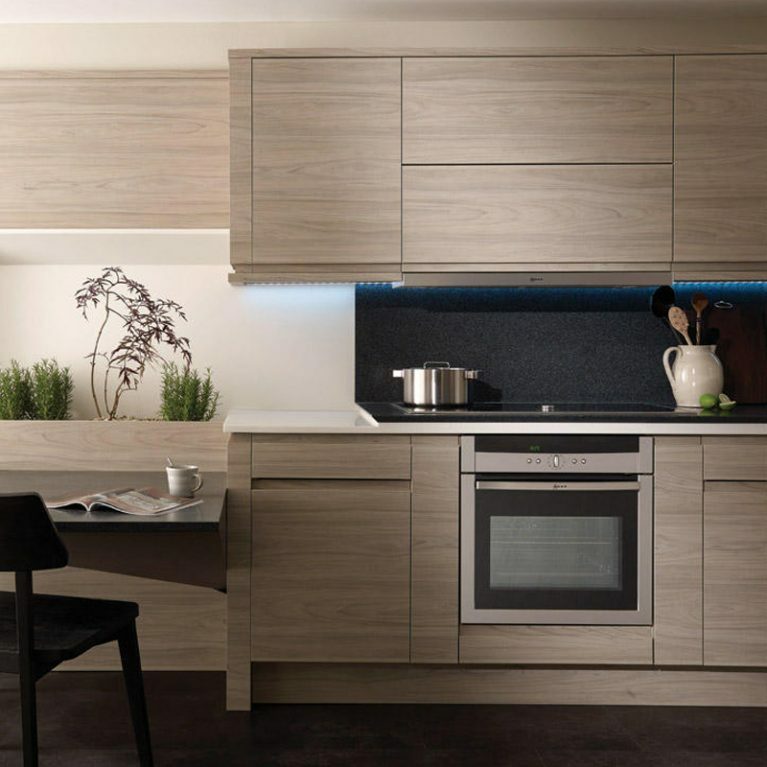 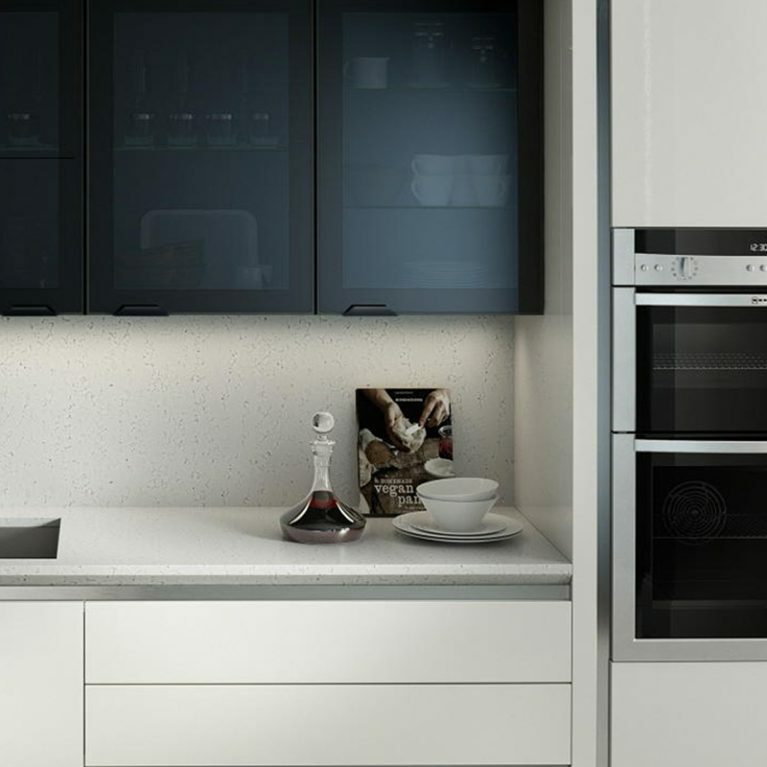 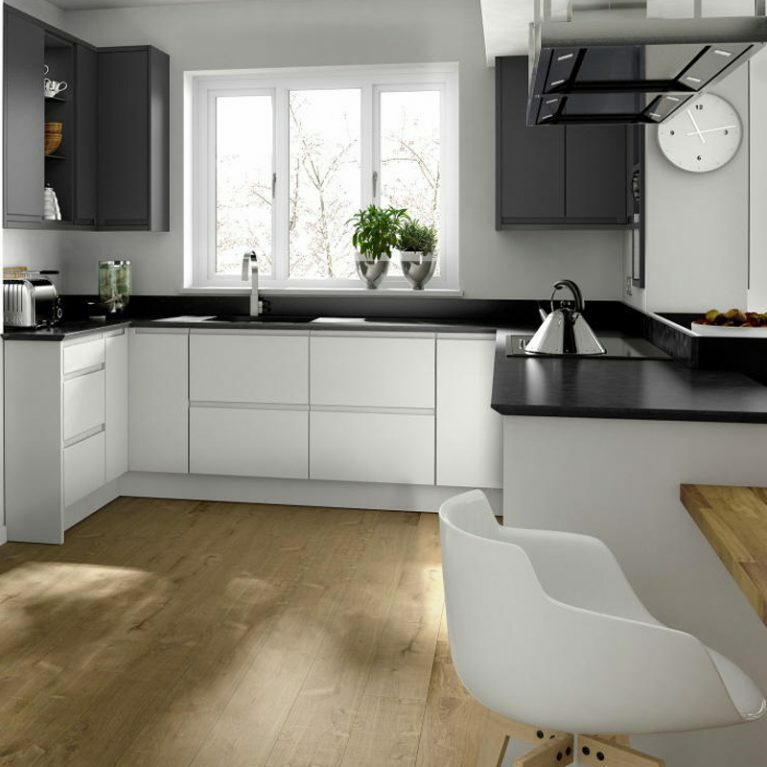 Modern kitchens don’t get more gorgeous than the Milbourne Charcoal. 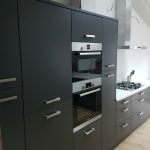 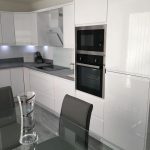 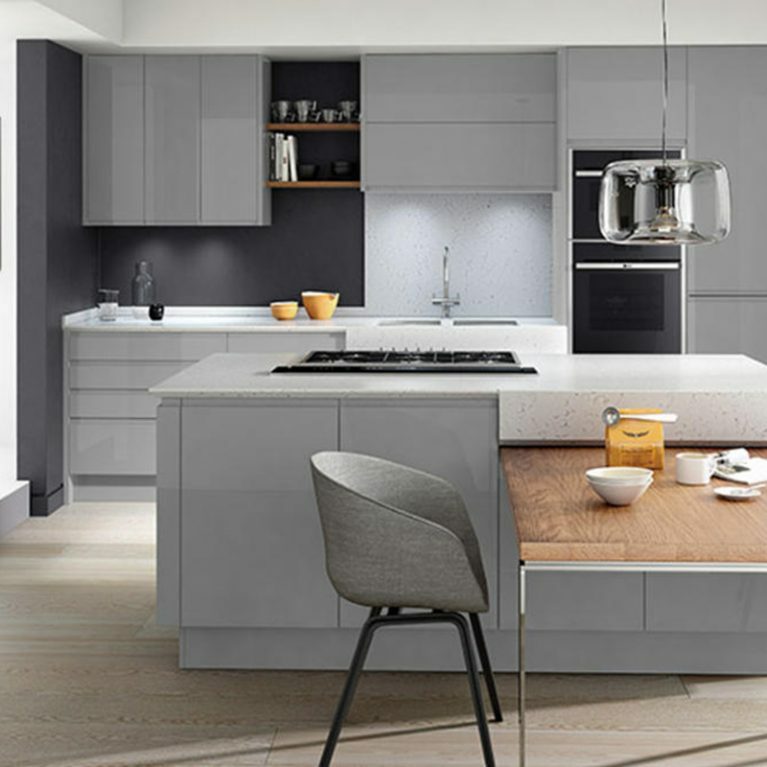 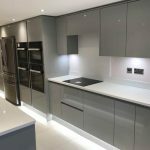 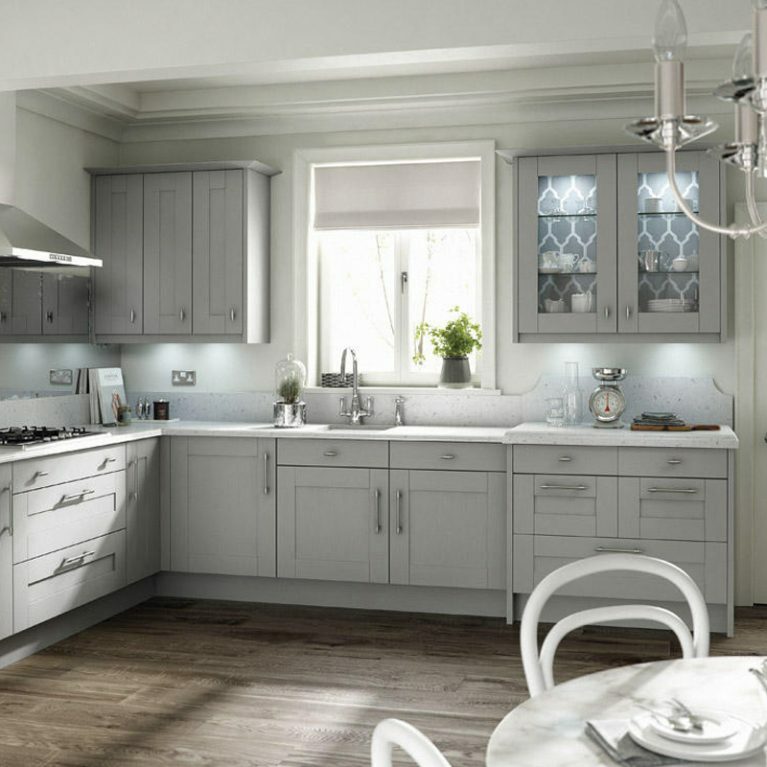 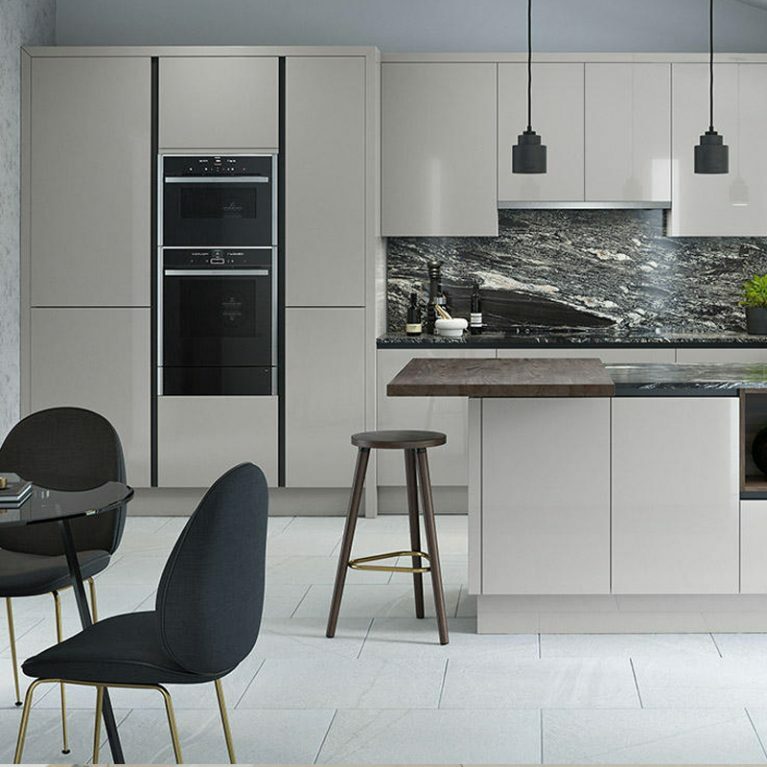 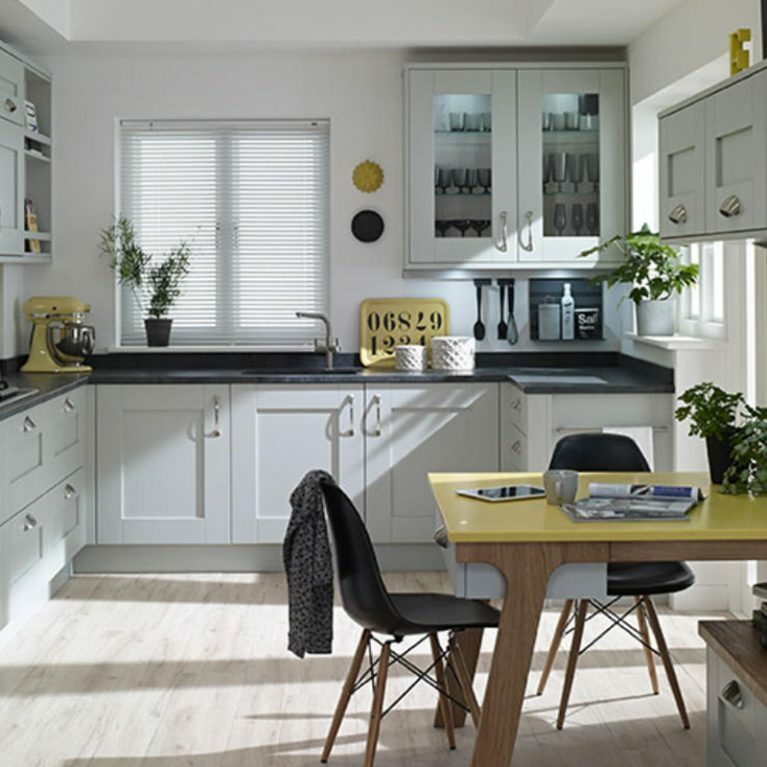 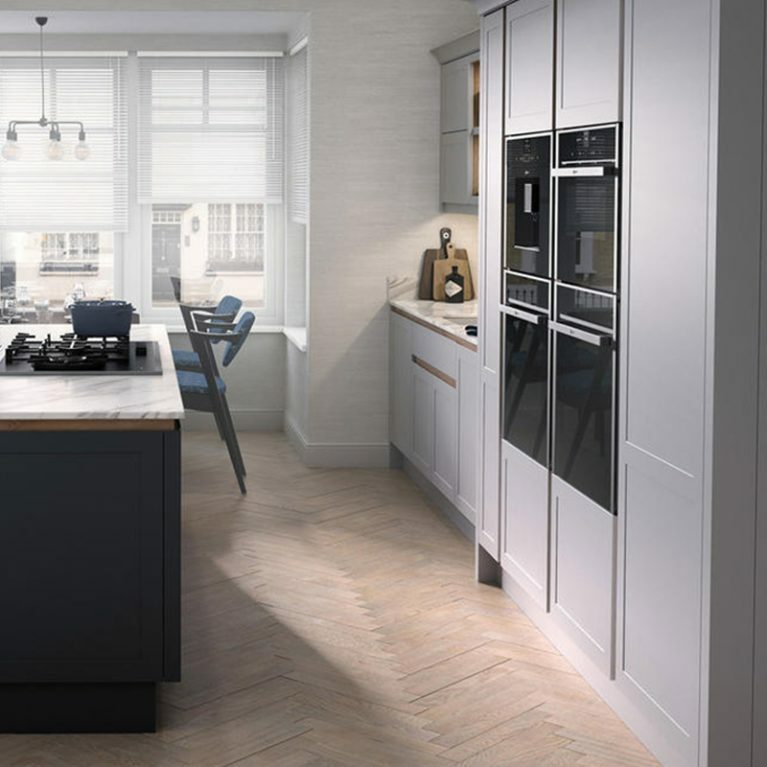 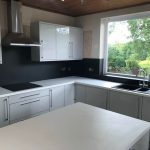 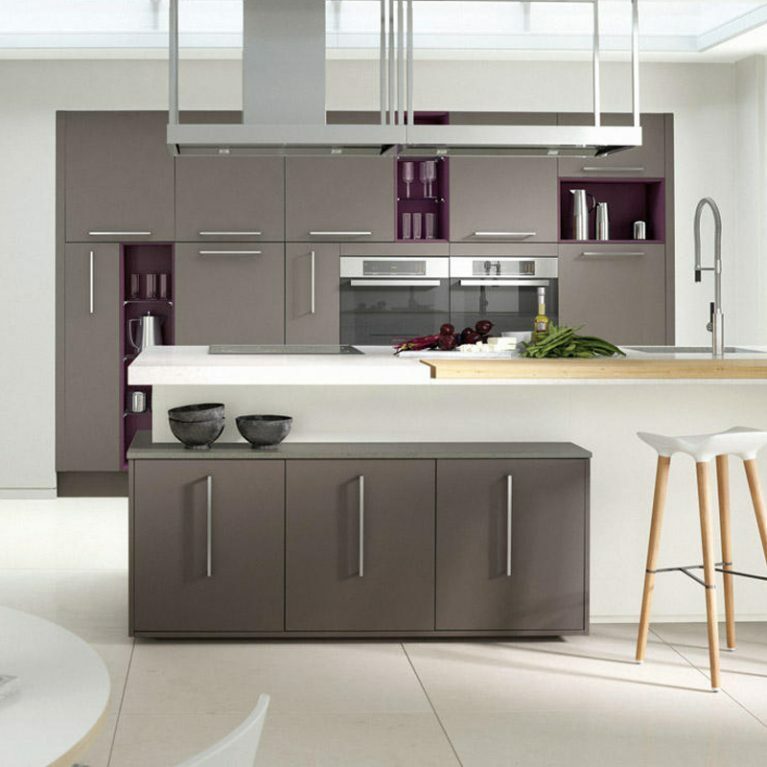 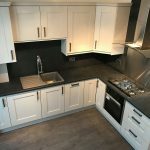 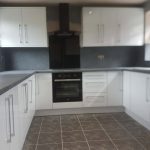 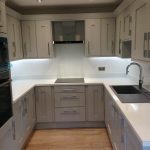 The stunning deep grey shade creates a wonderfully on-trend end result which will blow you away, offering an absolutely stunning kitchen design that is guaranteed to get people talking. 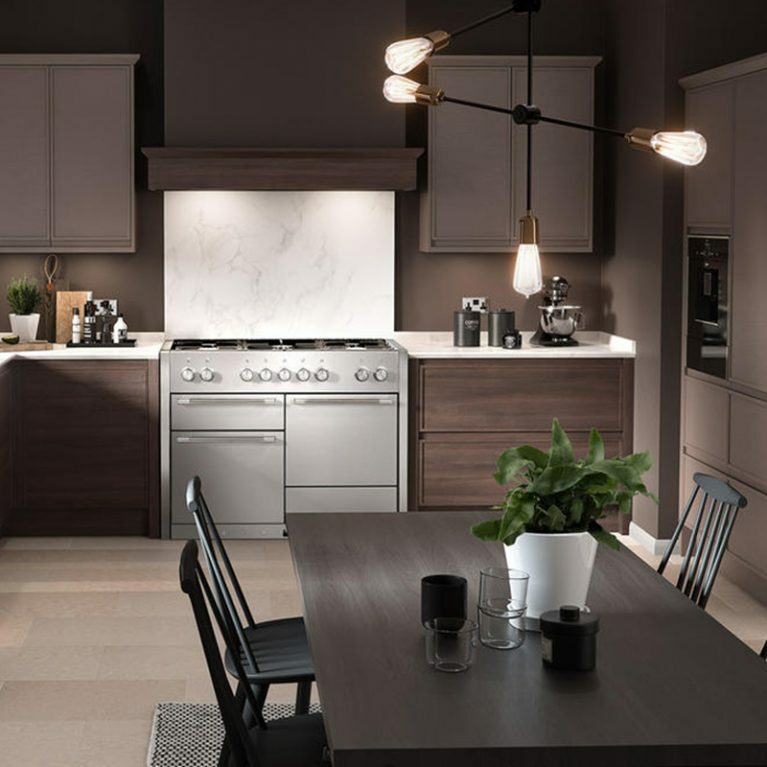 Offset by the stunning white subway tile feature, the classic shaker Milbourne kitchen design in striking charcoal is accentuated by the crisp white tiles, creating the most stunning light and shade effect. 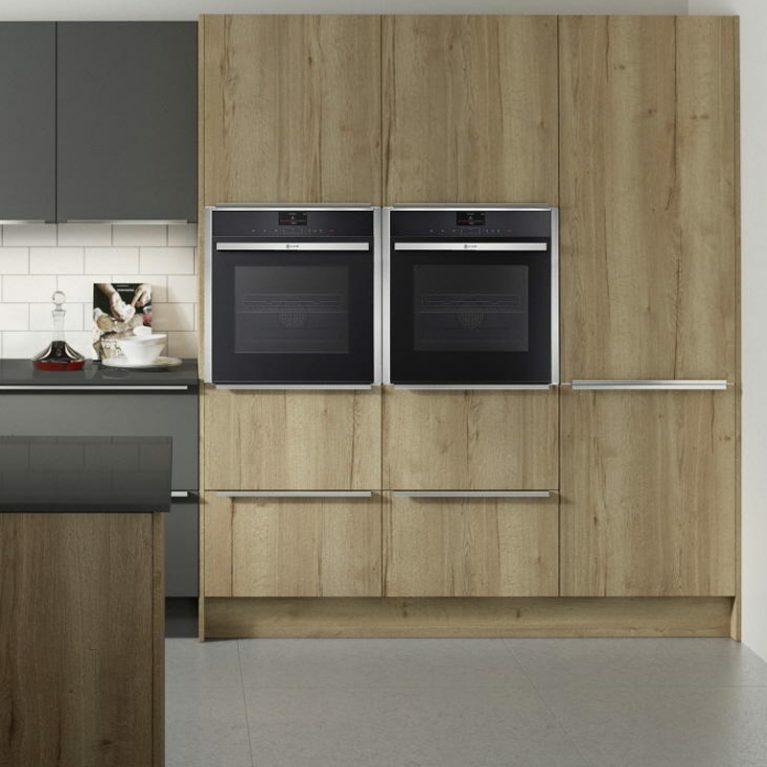 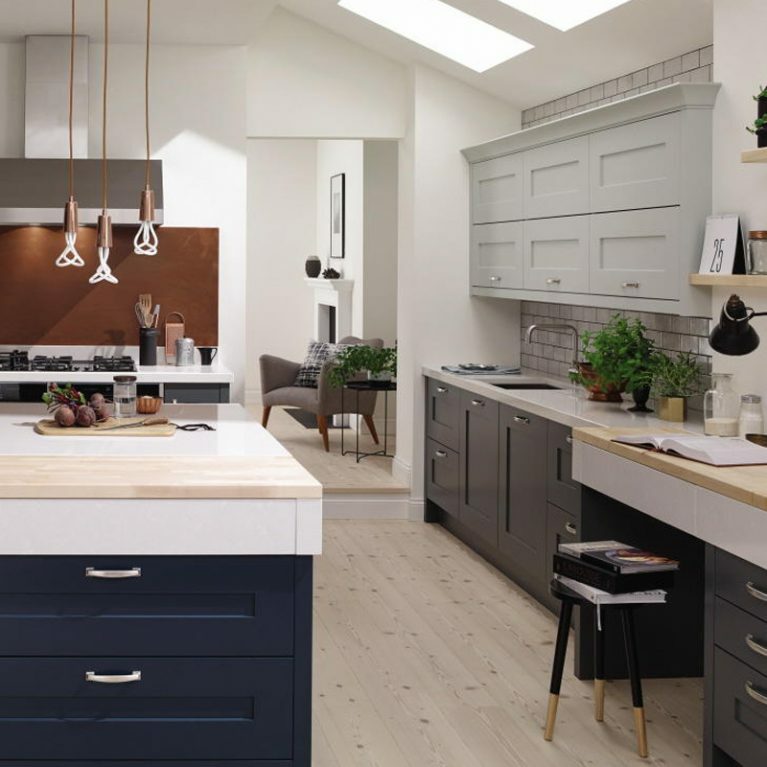 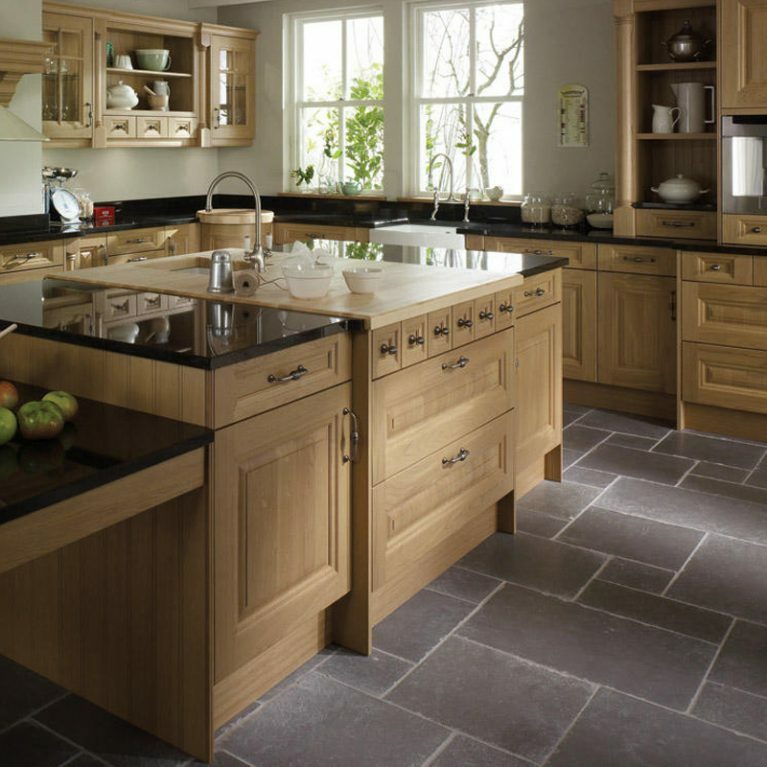 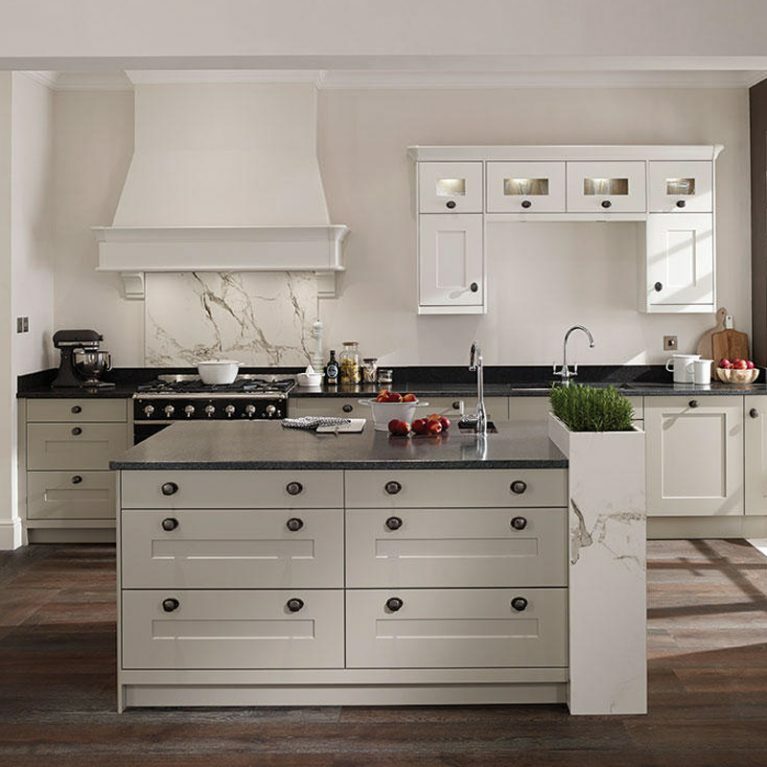 You can choose whichever finish you like for your Milbourne Charcoal kitchen, but we think it’s safe to say you’ll be hard pressed to find a design that won’t look simply stunning with this remarkable Milbourne kitchen as the foundation. 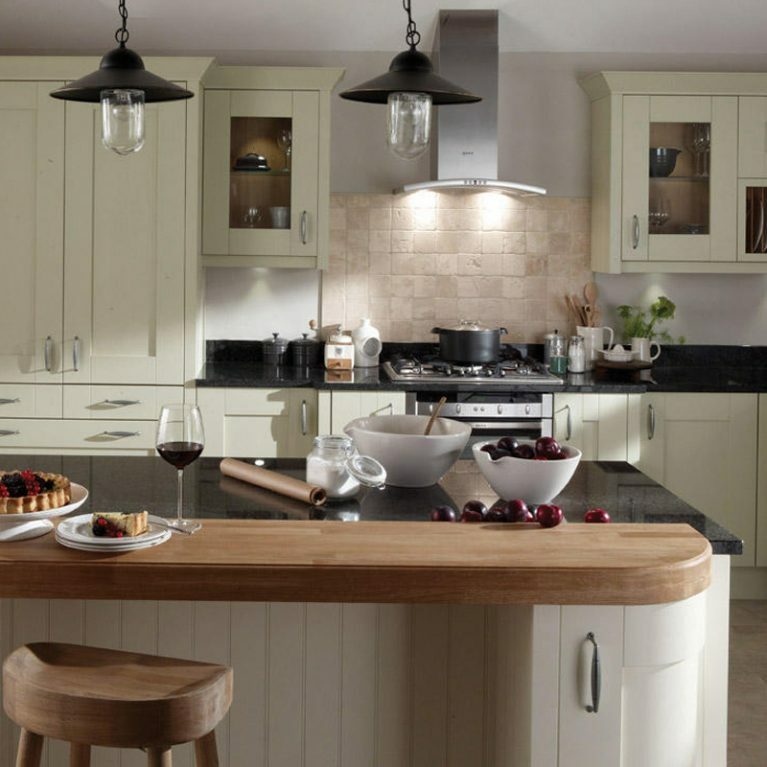 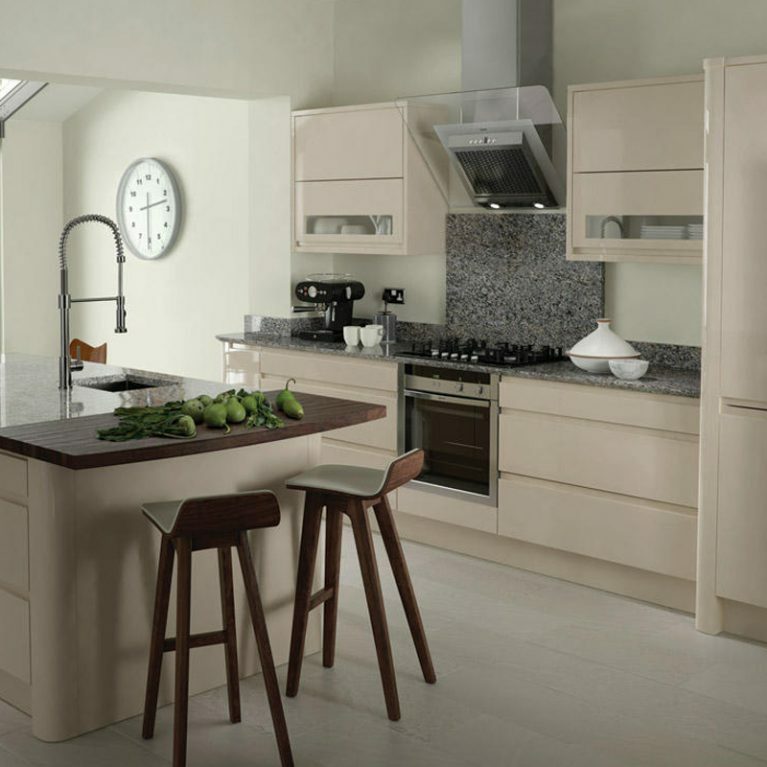 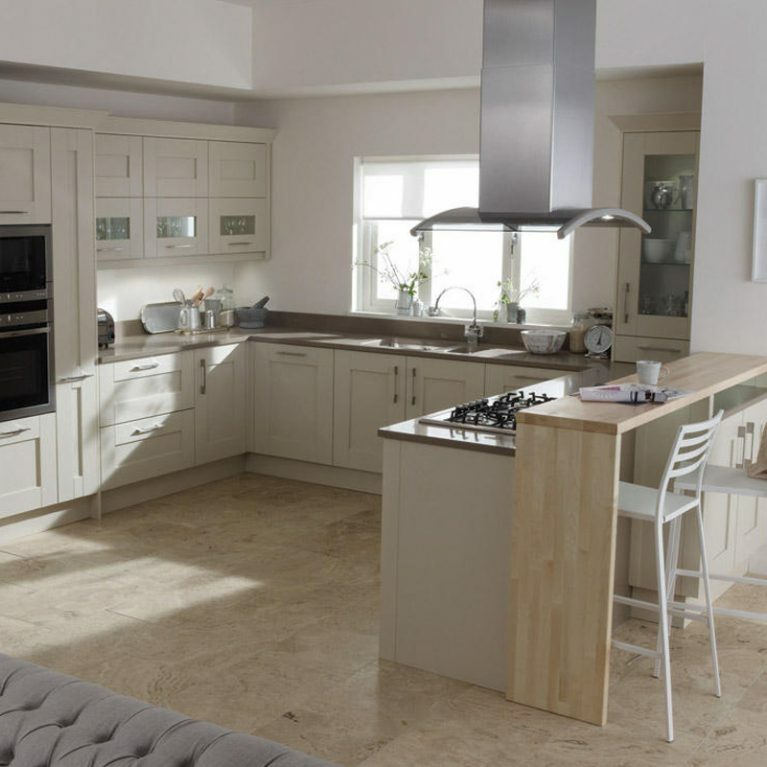 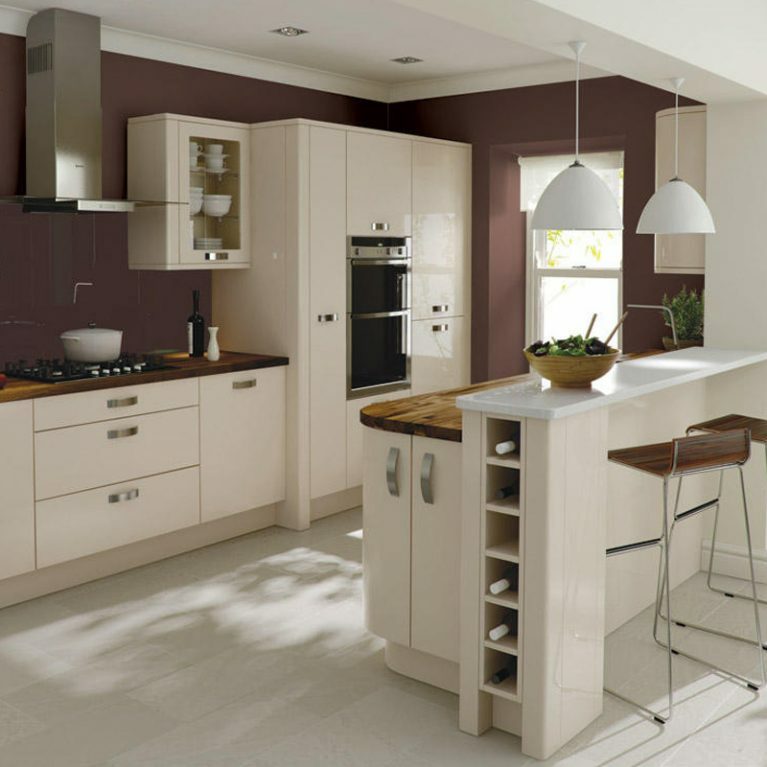 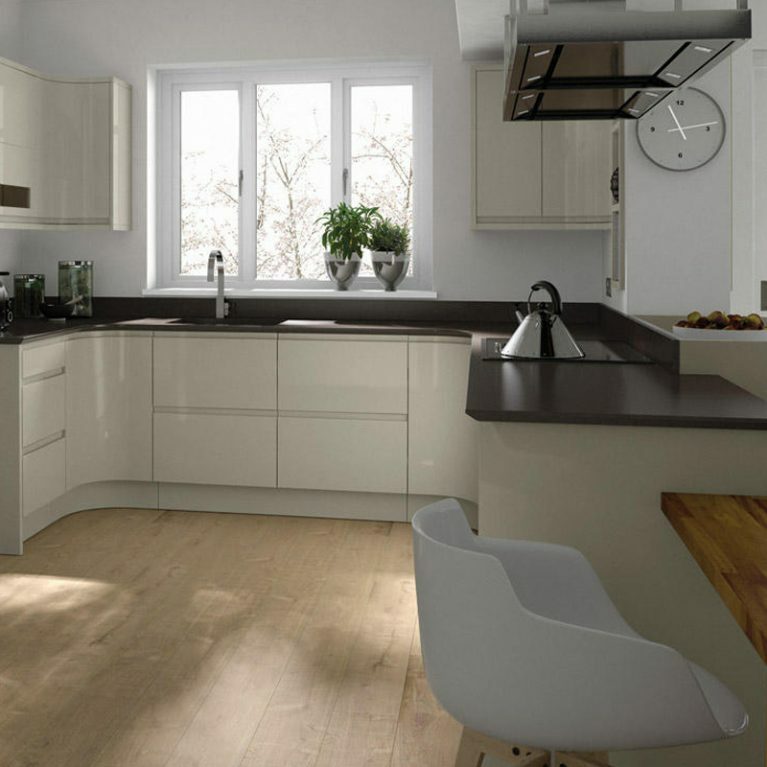 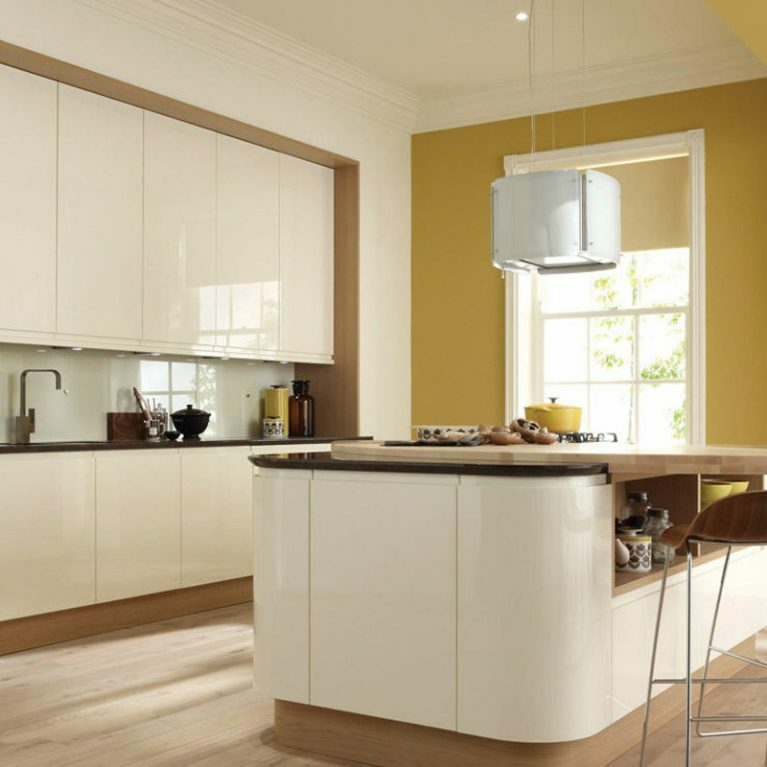 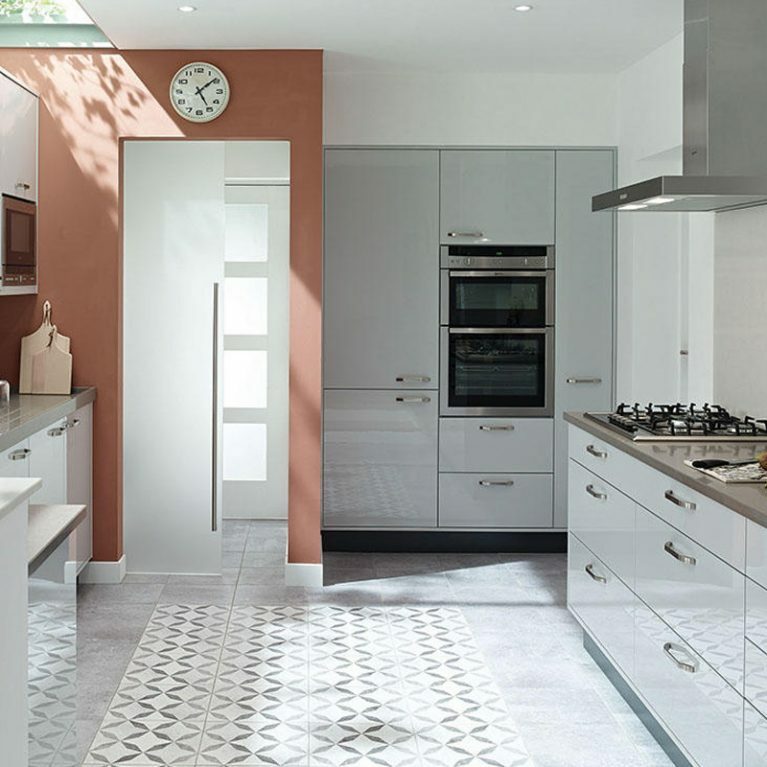 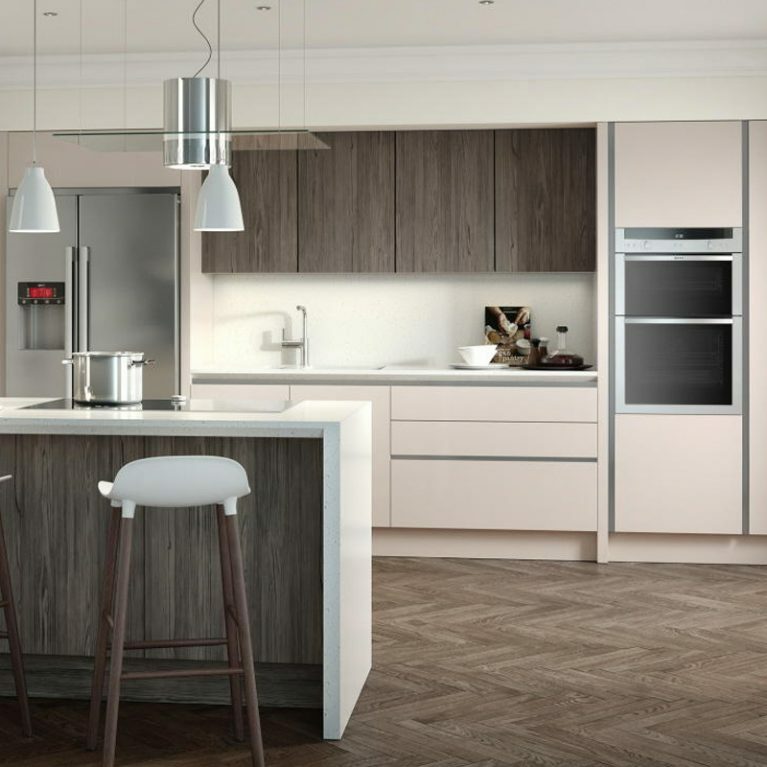 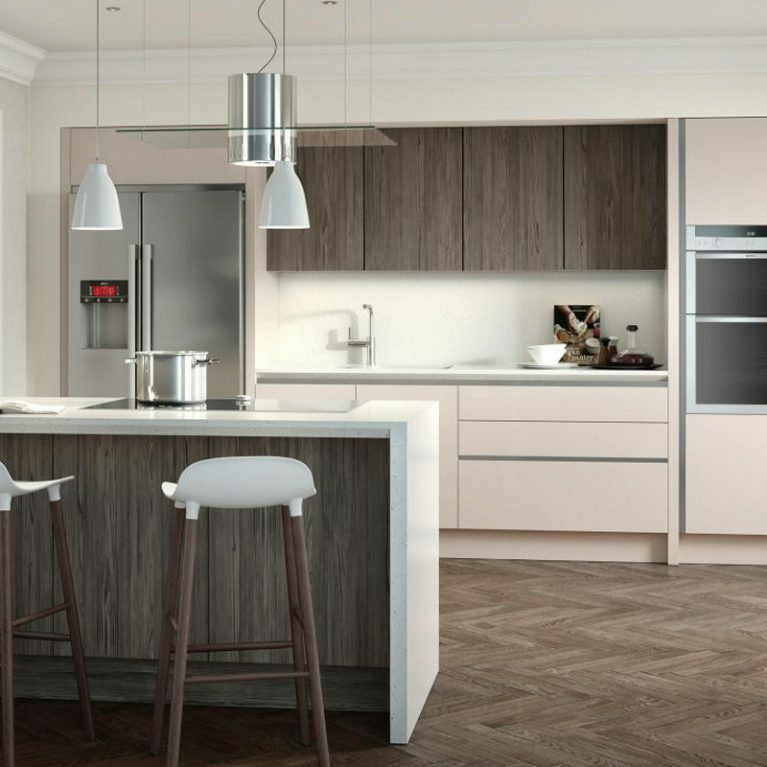 With 27 different matte colour shades available to choose from, you can customise your Milbourne kitchen to meet your ultimate specifications. 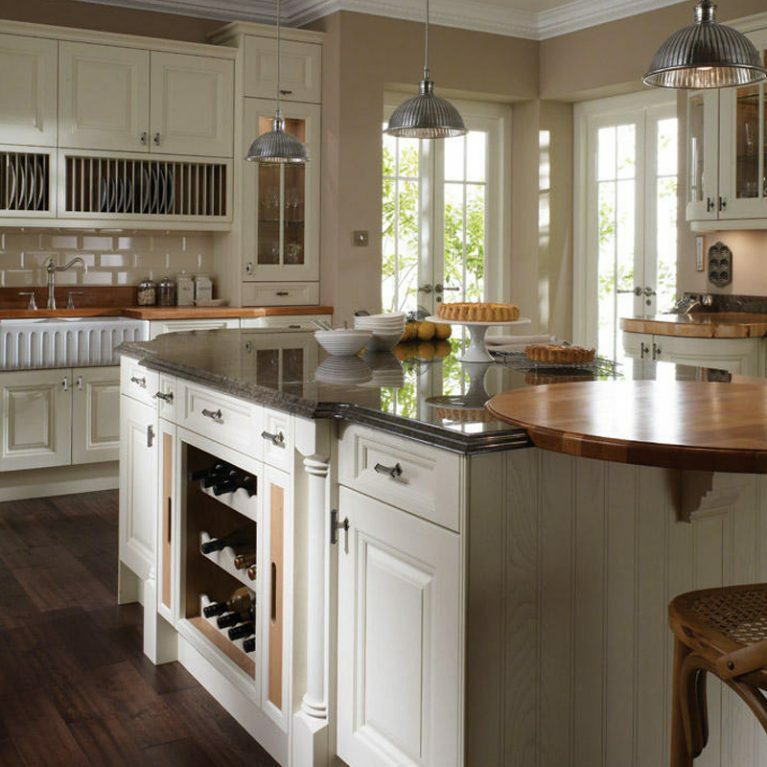 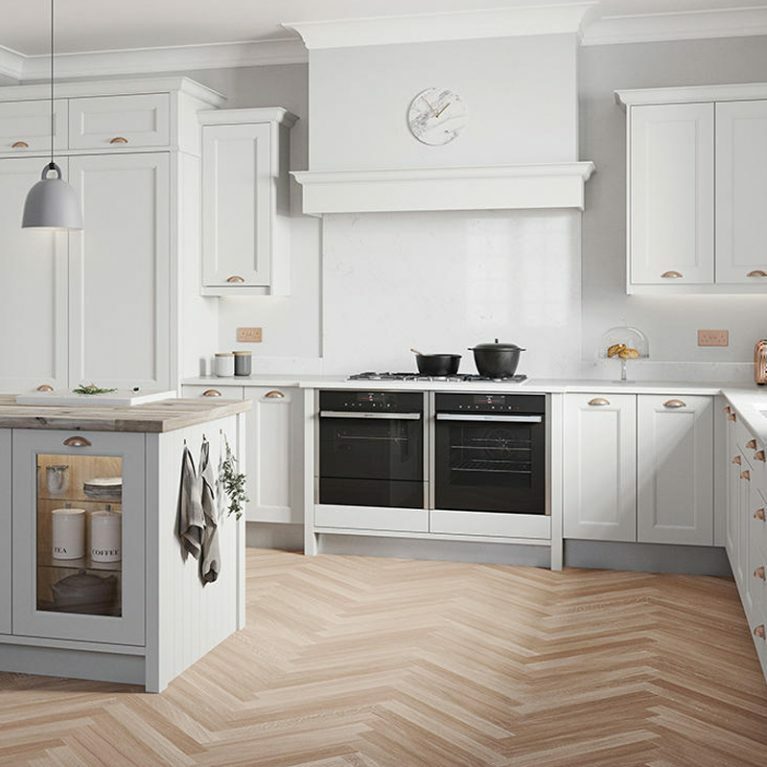 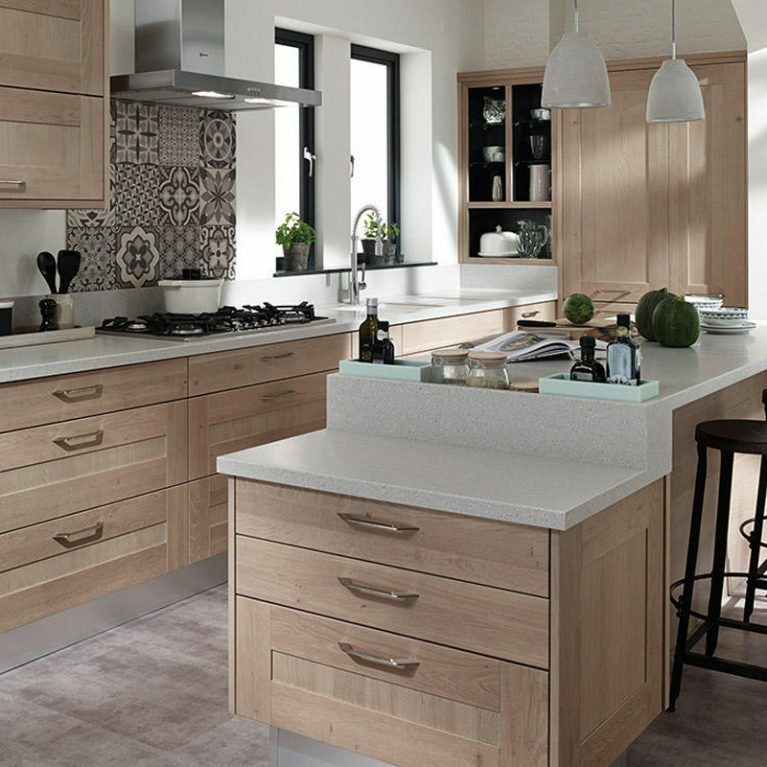 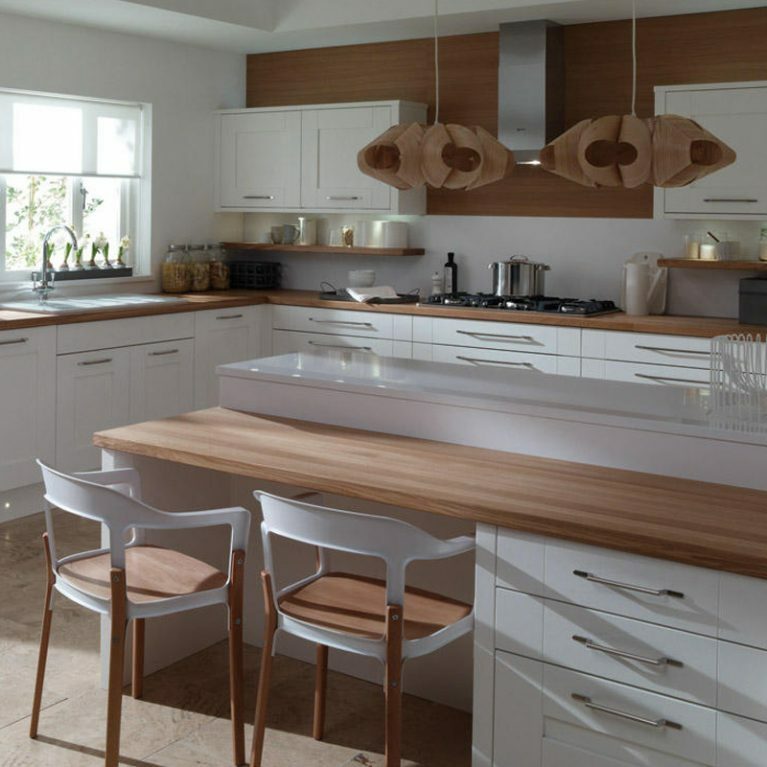 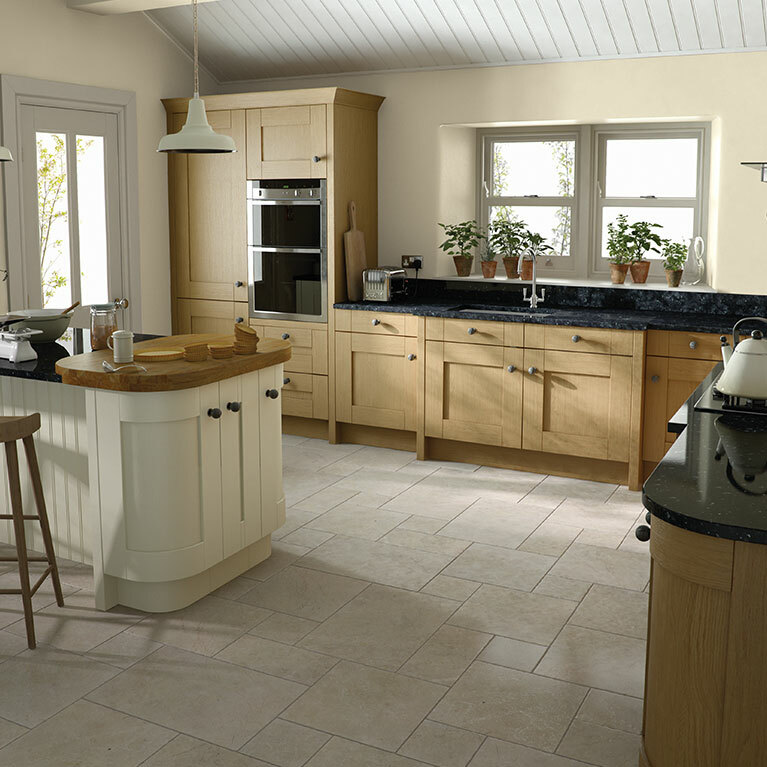 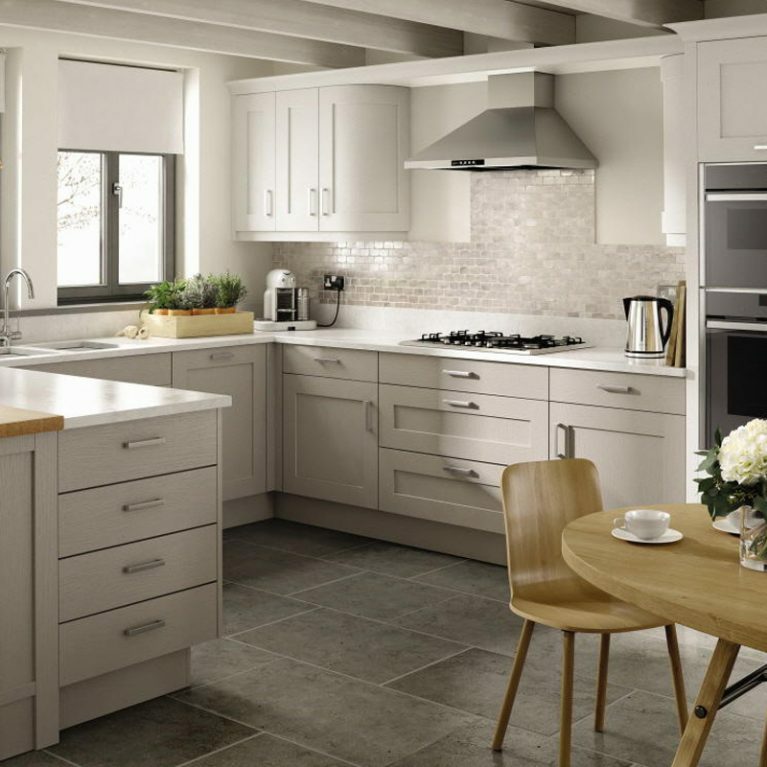 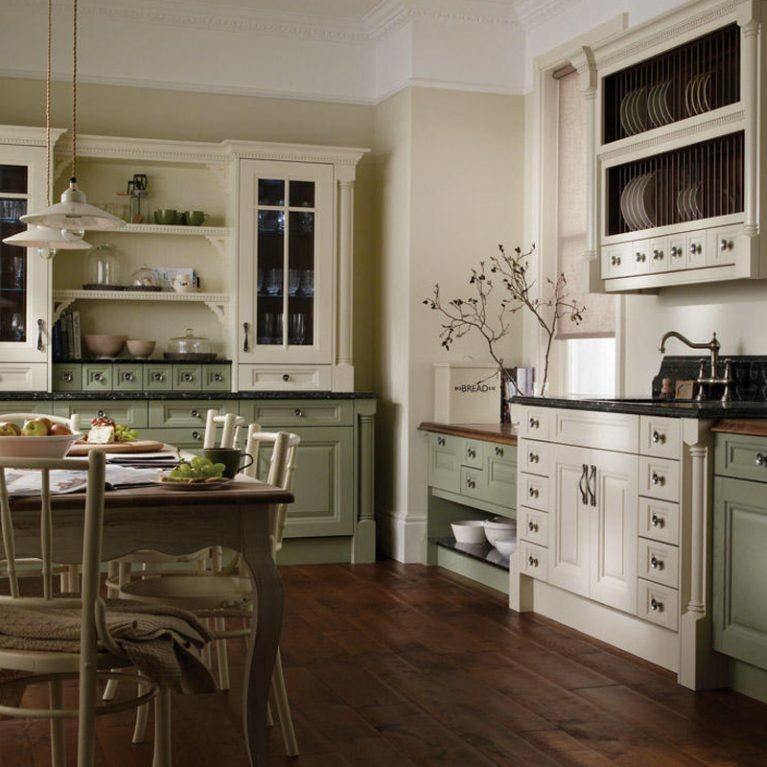 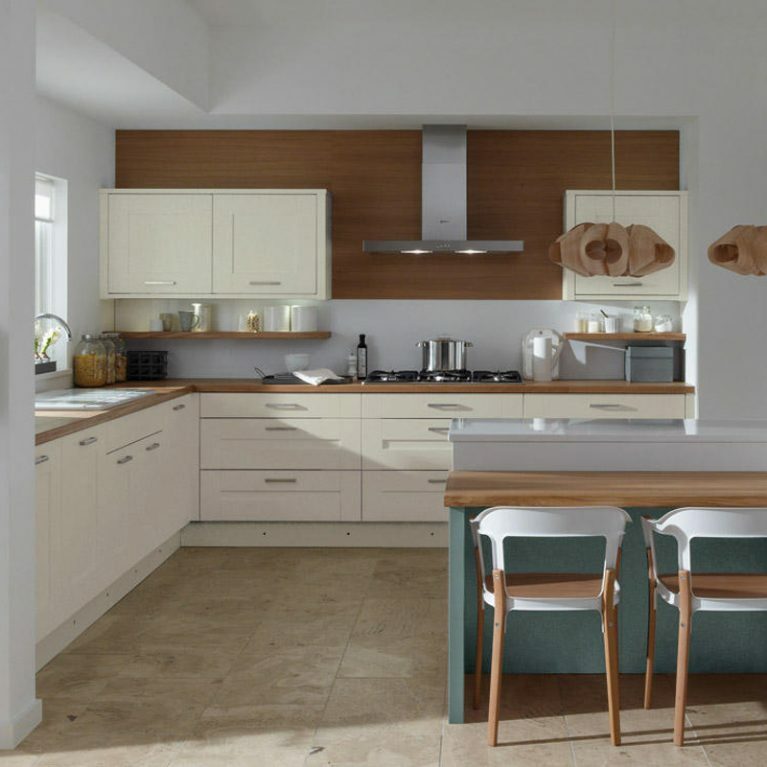 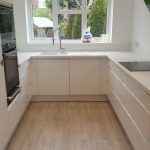 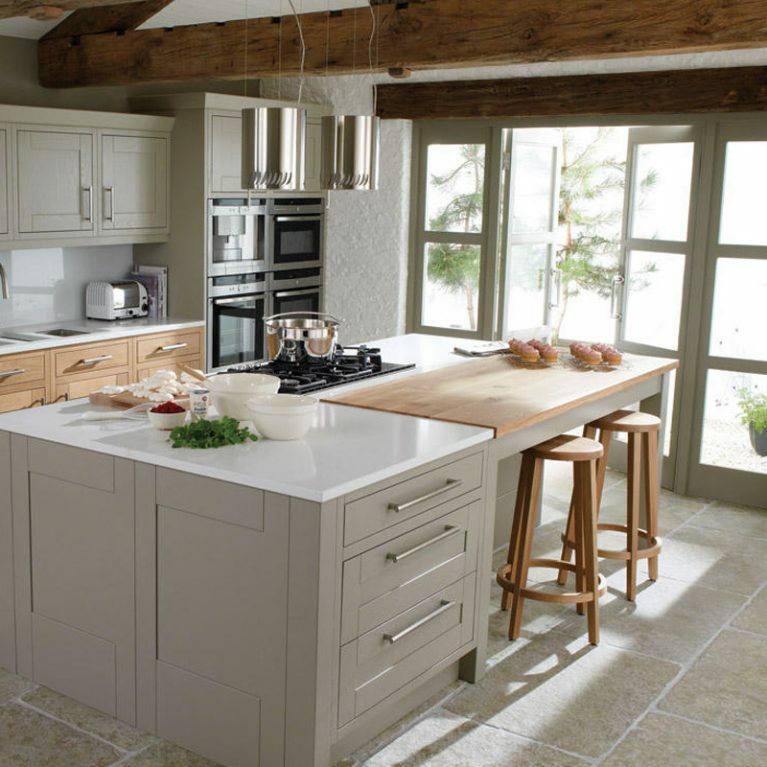 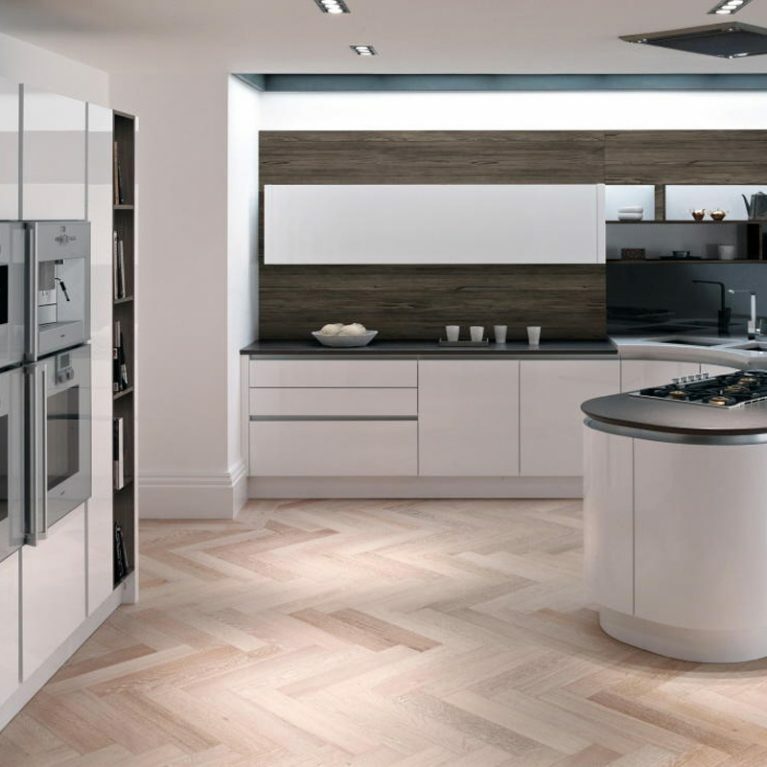 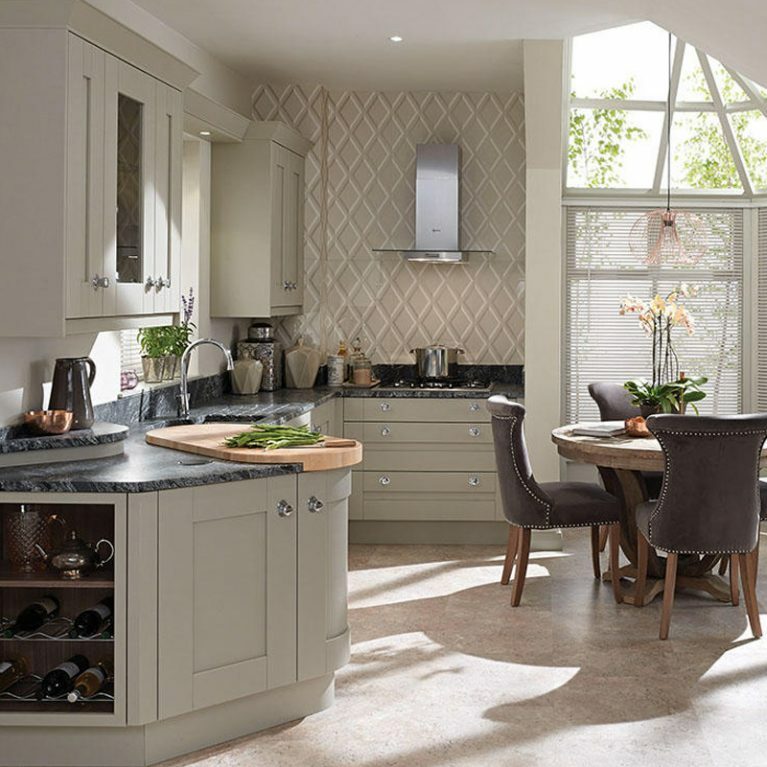 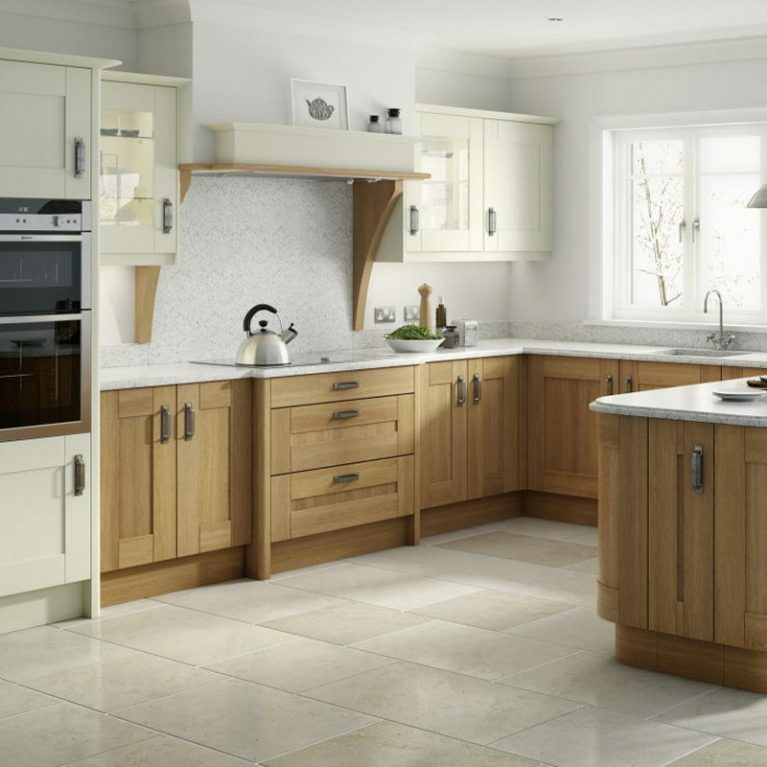 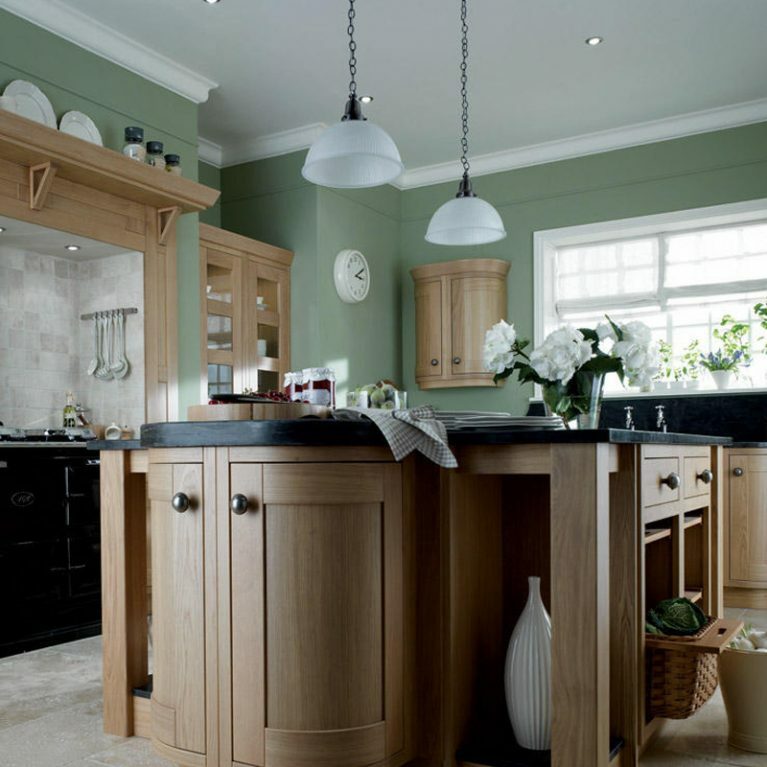 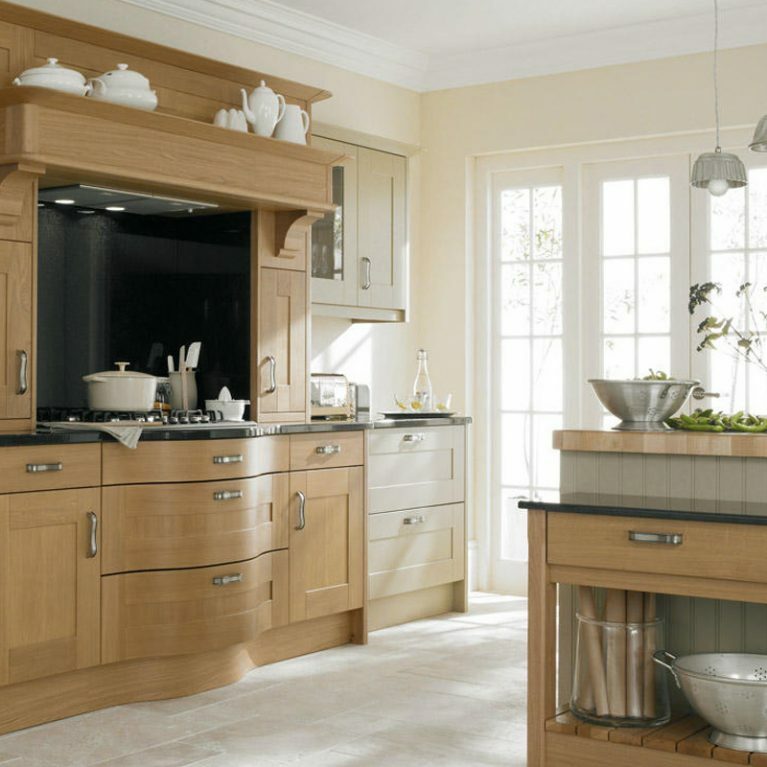 Number One Kitchens can help you bring your dream kitchen design to life, offering you the freedom to customise your classic shaker Milbourne kitchen design to match your precise preferences. 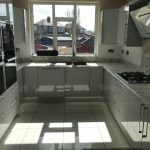 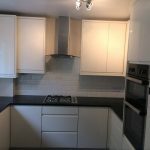 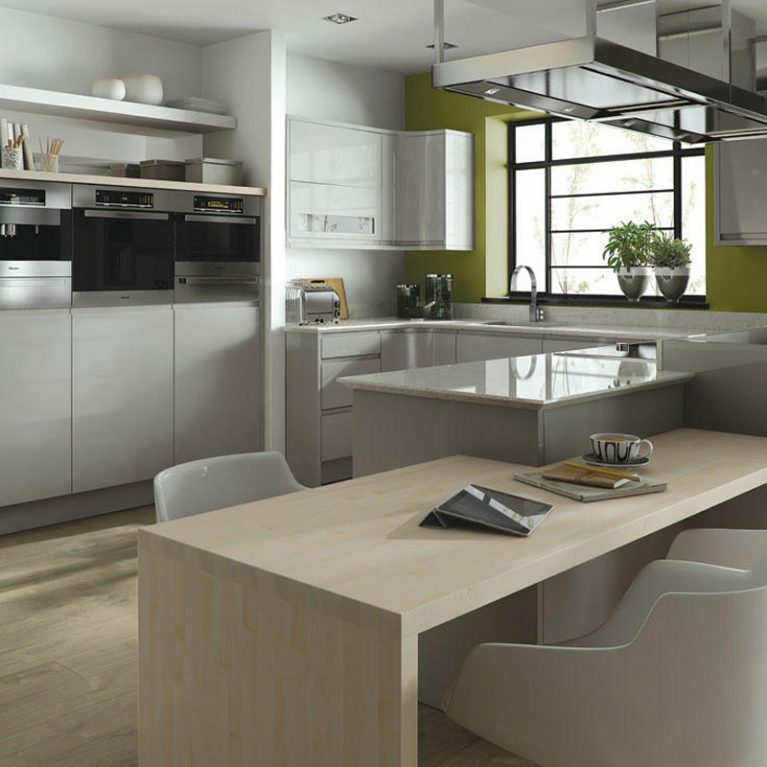 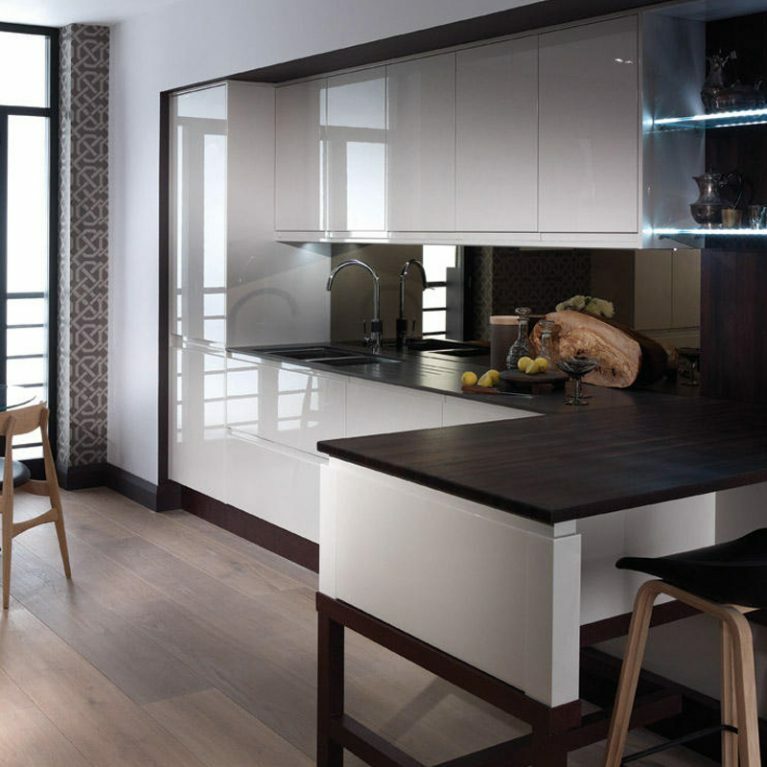 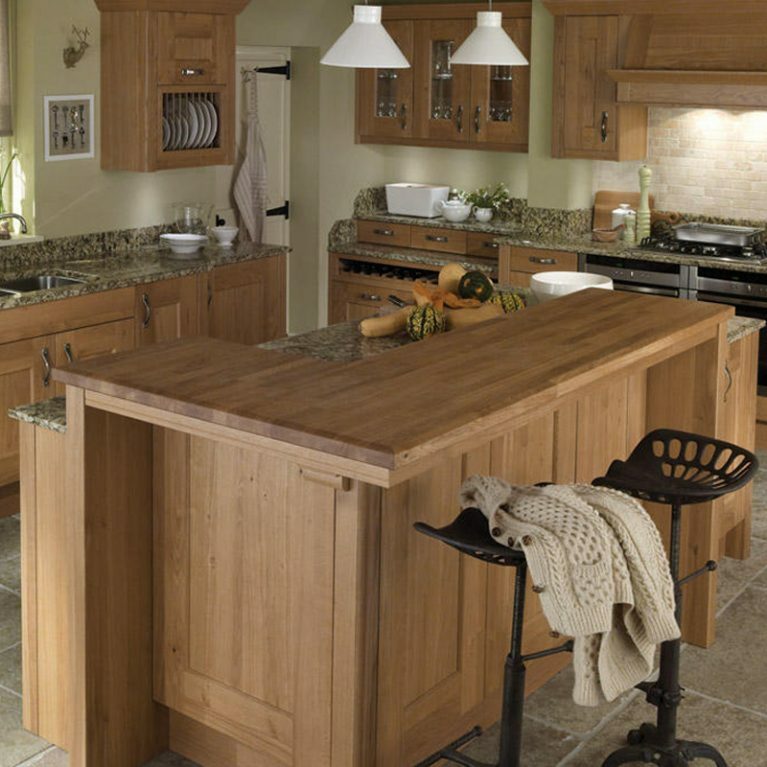 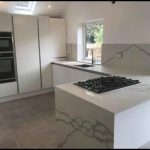 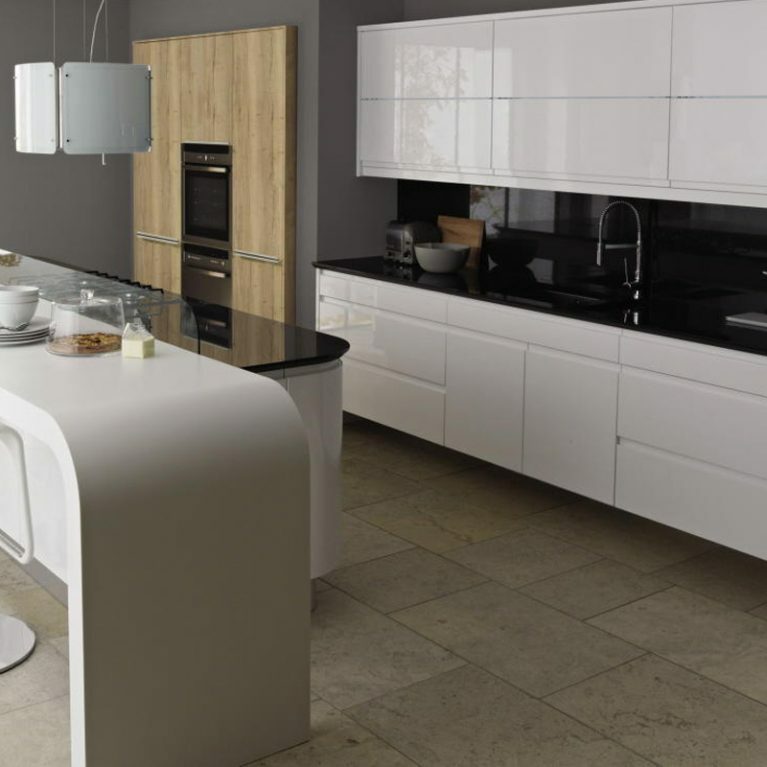 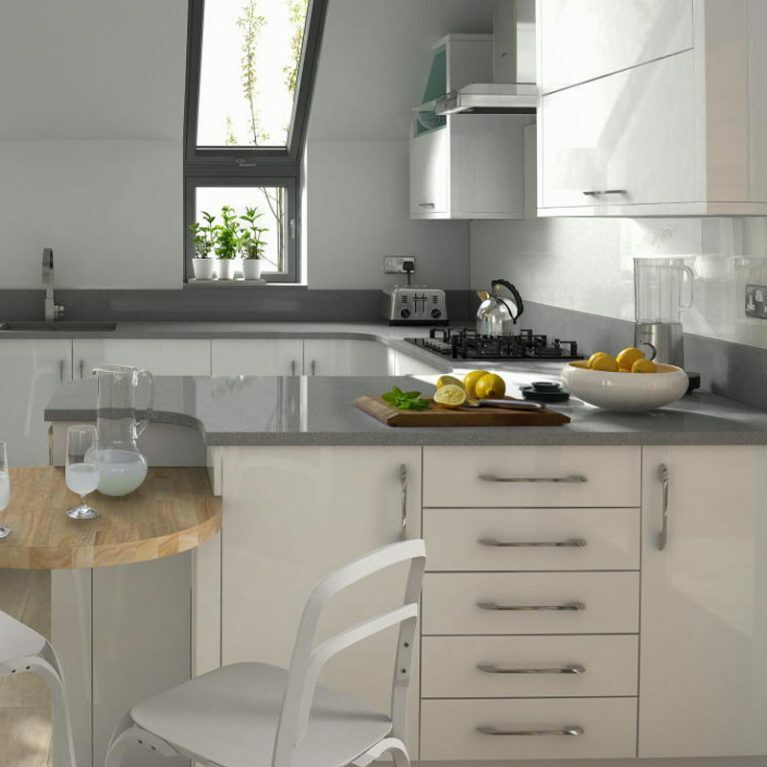 You can even choose your own work surfaces to finish your kitchen off in style. 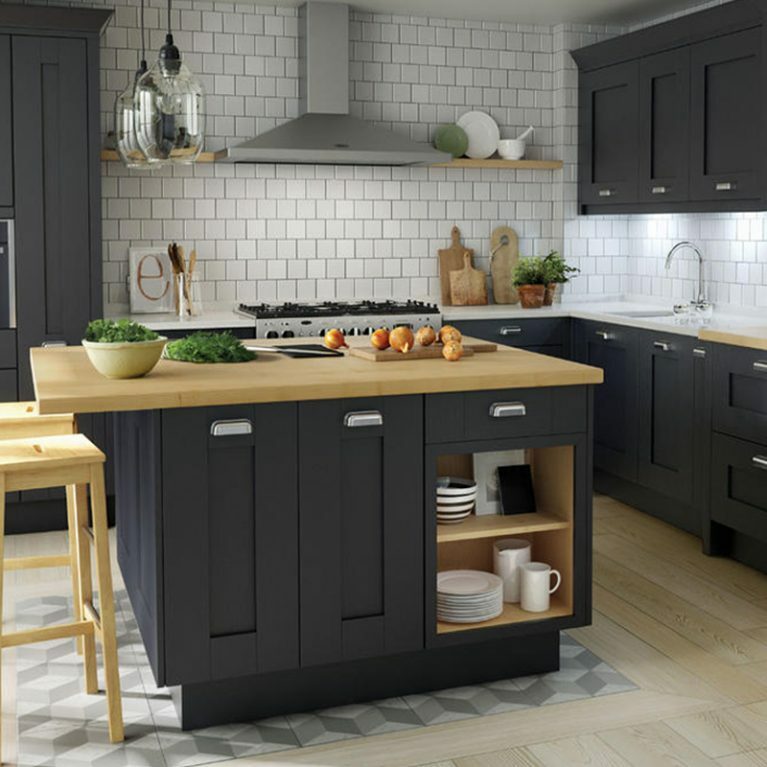 The compact Milbourne Charcoal kitchen features a wonderful yet practical sized island in the centre of your kitchen space, creating the perfect space for preparation and entertaining. 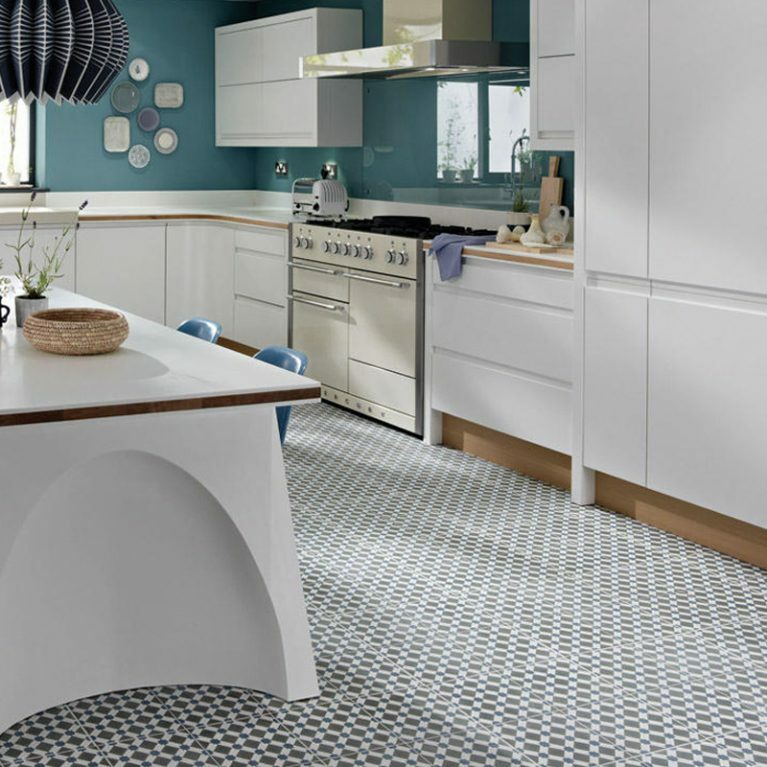 You can add some stylish stools around the peninsula to create a cool breakfast bar, or simply leave it in the centre of the room to add space to your kitchen design. 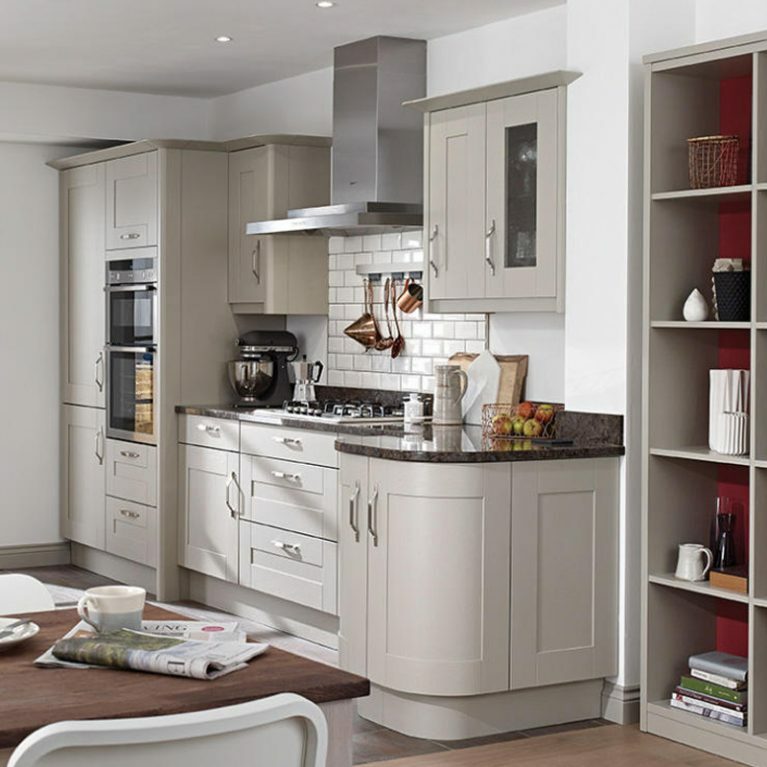 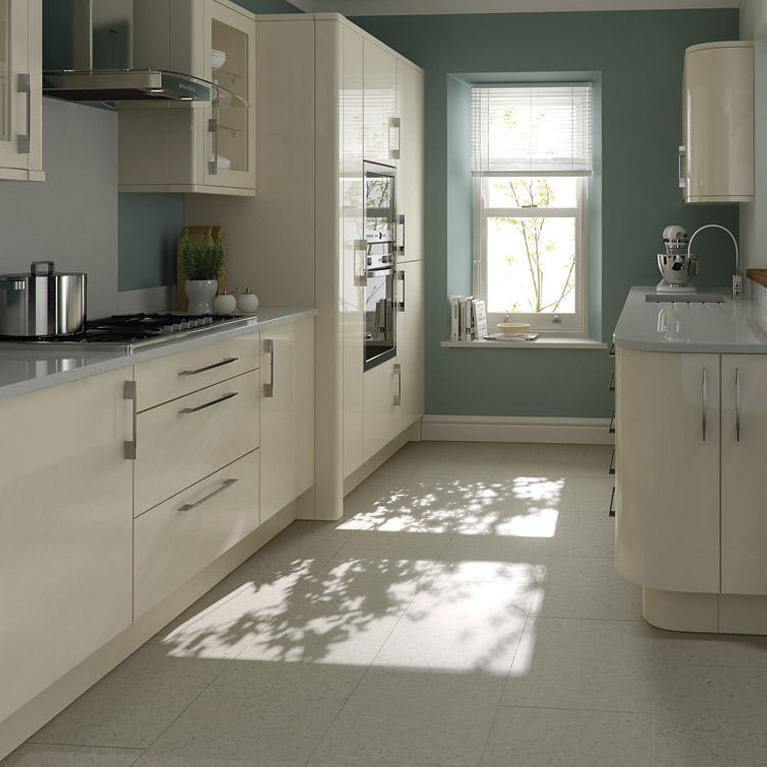 Open shelving accentuates the practicality of your Milbourne kitchen design. 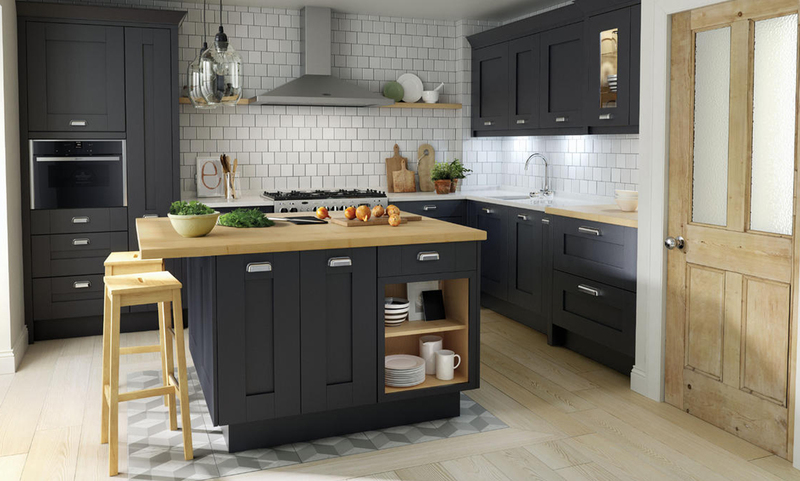 Clear glazed feature doors and in-cabinet lighting allows you to draw attention to your most prized kitchen items, offering a stunning extra addition to your Milbourne Charcoal kitchen. 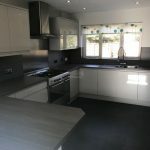 Finished with a fabulous silver faucet and sink area, you’ll find cooking and cleaning within your kitchen space a dream. 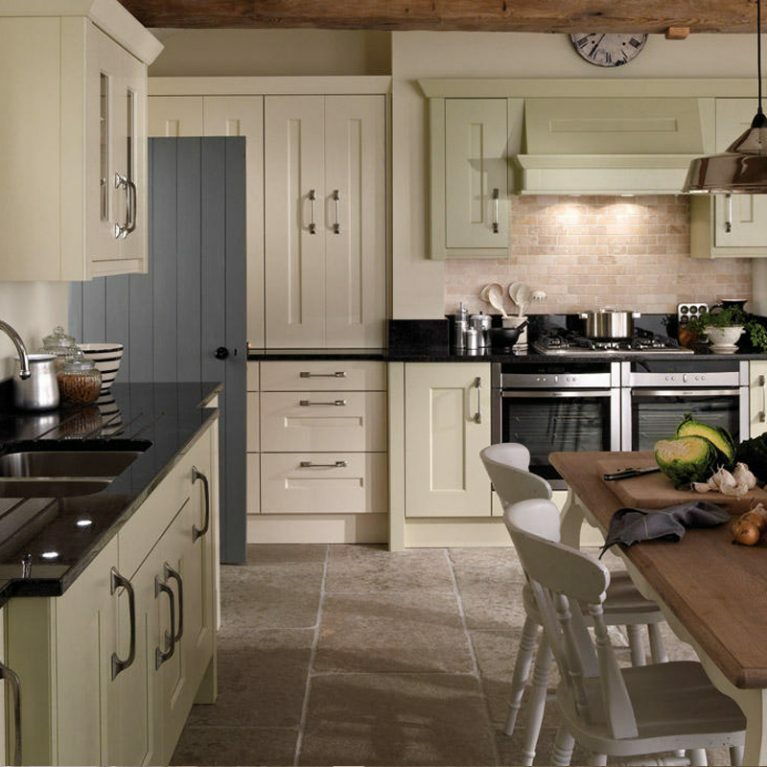 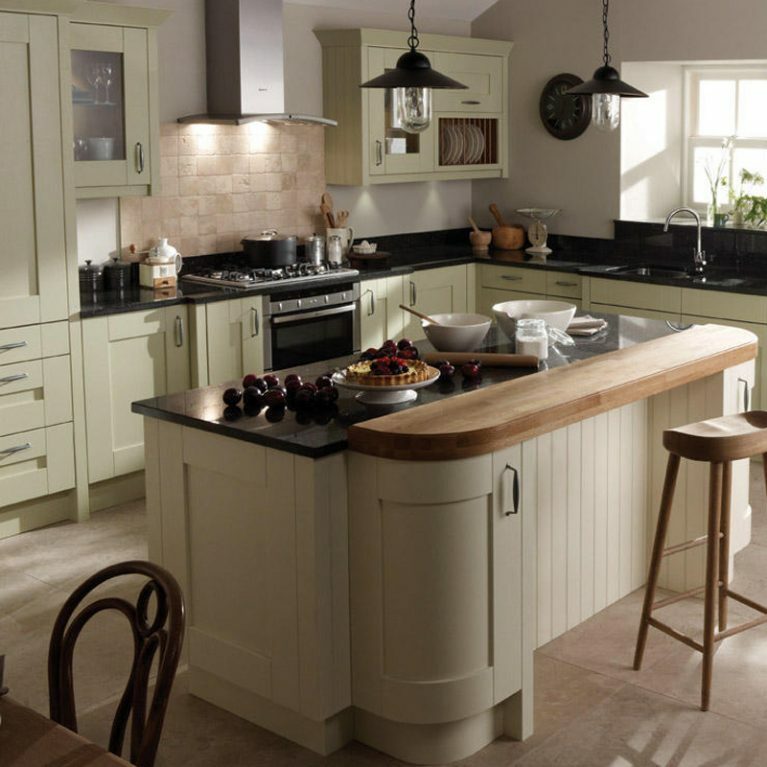 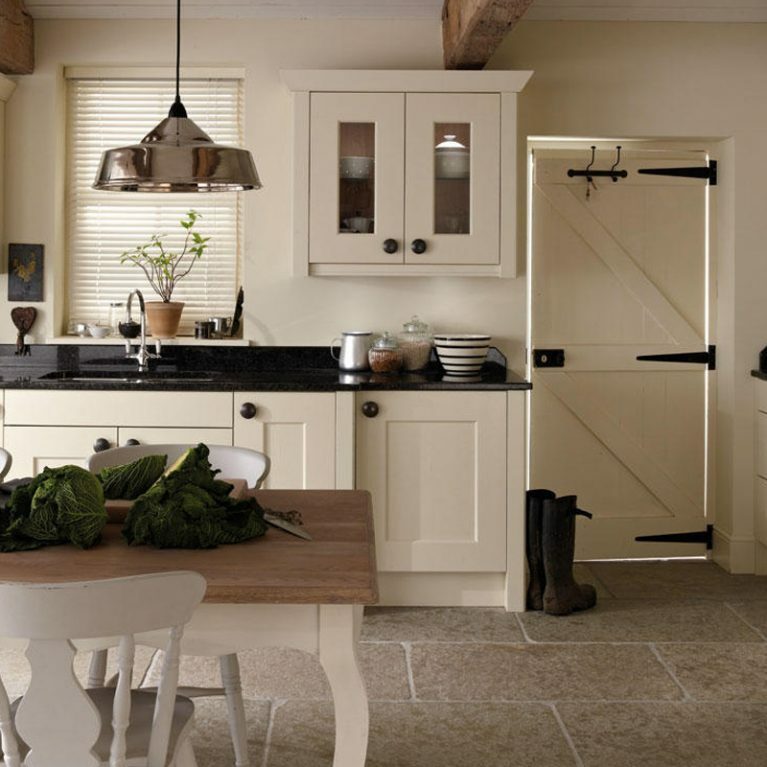 The Milbourne Charcoal is a simply gorgeous kitchen design.